When a new dual-branded Hilton hotel was planned in Denver, USA, The Beck Group was commissioned to complete the architecture and the construction. 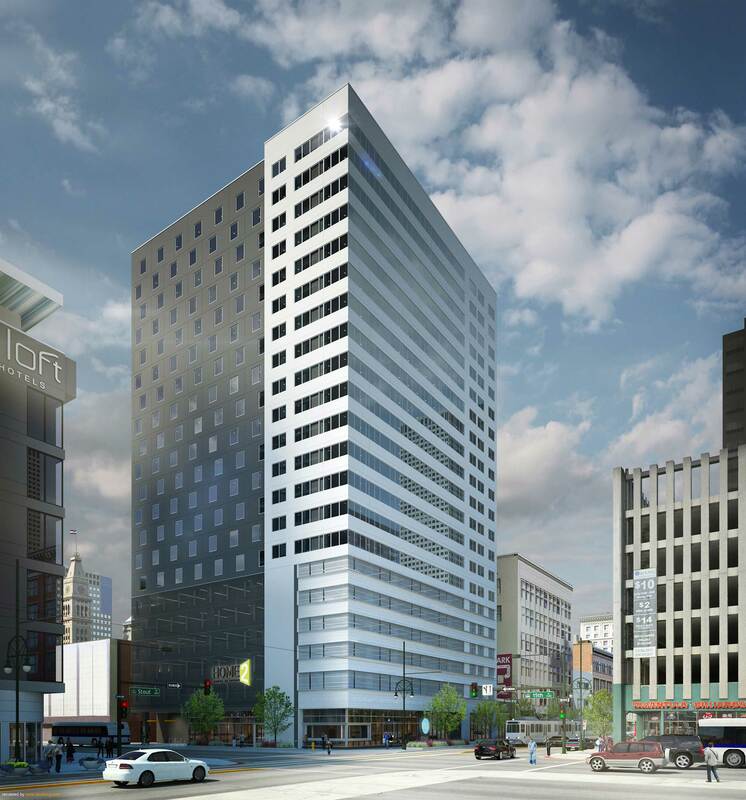 Located downtown in a congested urban area, the 22-storey hotel posed significant construction challenges for The Beck Group. The limited space and the central location required extensive planning and reporting. For this, the team decided to rely on aerial imagery to monitor the project and verify its progress. But instead of drones, which are typically used on their construction projects, the Beck team counted on the Pix4D Crane Camera solution. Situated on a narrow plot on the corner of two busy streets, the hotel’s location added complexity to the project. Due to the lack of space, the team had to coordinate material deliveries efficiently and minimize overlapping deliveries which would lead to traffic congestion and the incapability to unload, requiring rescheduling and risking the delay of the entire project. Missing space also meant The Beck Group had to take full advantage of every available square foot, and store materials on top of the ongoing building. 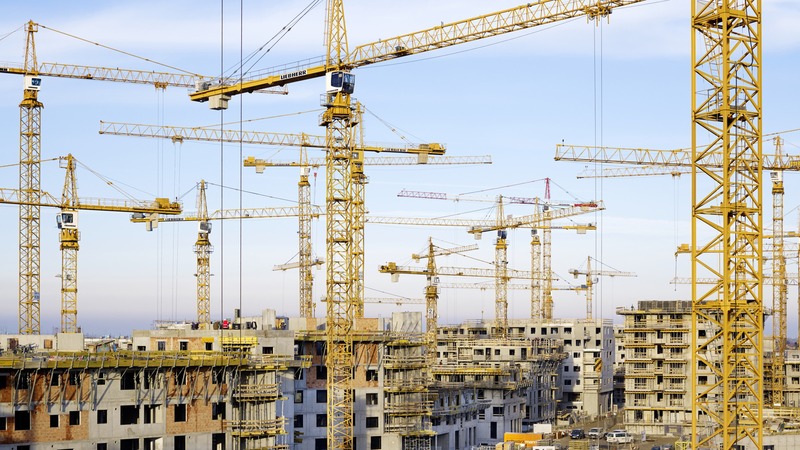 Coordinating the deliveries required continuous collaboration with the suppliers and within the team as well as constant site progress tracking to avoid any mistakes and keep the traffic flowing during the day, and get the hotel built on time. Concrete pouring is a critical phase in the construction of a building and any mistake, even a little one, can literally cast in stone. “Any error with elements that go into a concrete slab can cause increased costs or project delays,” says Grant Hagen, VDC manager at The Beck Group, forcing the team to carefully verify their correct installation before pouring. Once concrete is poured, all elements are covered: the only way for the team to locate and verify the elements is to drill the concrete. However, the process is complex, time-consuming, and many things can go wrong when drilling concrete. Rather than spending time and money to remedy mistakes, the Beck team made every effort to prevent them in the first place. Already seeing the value of drone mapping for construction, the team worked with drones at first. However, after a few flights they realized that UAVs were not the best solution for this particular downtown construction project. “I know the benefits of drones and drone mapping but I thought that drones were not the safest solution on this project - with urban environment and the downtown congestion. So, we chose the Pix4D Crane Camera, the safest solution we found so far for capturing aerial imagery to be turned into 2D and 3D. It’s definitely a great alternative to drones for construction projects,” explains Hagen. The team mounted Pix4D’s Crane Camera on a single tower crane. Rather than regularly flying drones in a tricky urban environment, the Crane Camera worked autonomously, sending regular updates without needing further intervention. Meetings to track the site progress were a weekly routine for the Beck team. The Crane Camera data allowed the team to regularly share the status of the project with all the stakeholders, without leaving the office. The team was able to save time and resources they would typically spend to go on the jobsite to check the status. 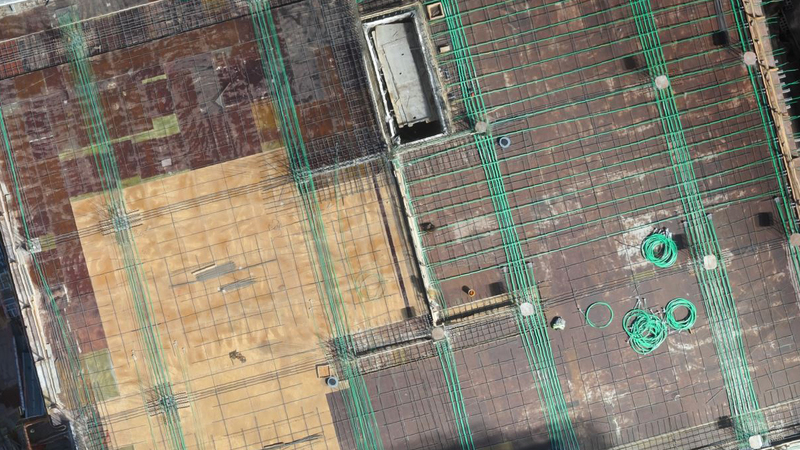 To control the key elements installed in each concrete slab, the team was able to compare the installed sleeve locations on the delivered orthomosaics, with the planned sleeve locations on the drawings. “Verifying the concrete slab elements has always been a recurring problem. Traditionally, this would require a manual process with a human behind - either flying a drone, or walking out on the slab. With the Crane Camera we were finally able to document it very effectively and daily via an autonomous workflow, with a click of a button and no people involved: this was very efficient and saved us a lot of time,” says Hagen. As Hagen notes: “sometimes the value of a tool like the Crane Camera may not be seen immediately, until an issue is reported in the future.” If there are any disputes related to the slab installation, the team is confident they can check the image documentation at any time and answer to potential issues. With the whole construction documented and stored online, the Beck team can go back in time and check what happened, even after the project has been completed. “I believe the biggest benefit of the Crane Camera is that it is a fully autonomous solution. It doesn’t require any human interaction, other than to consume the information. It’s really helpful, especially for people like us that traditionally have a lot of things on our plates,” says Hagen. Interested in trying the Crane Camera? 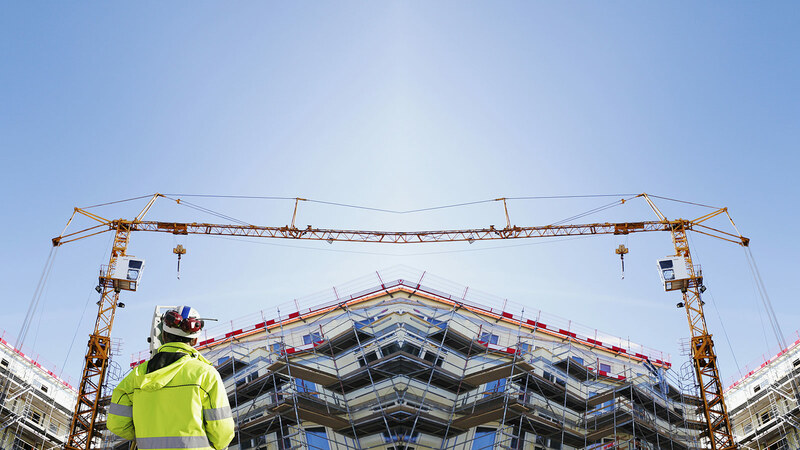 How will new technology influence the future of digital construction? We asked the Pix4D Construction team for their predictions.